I’m starting over with this Monday top-5 list feature. Instead of five random things, I’m going to do an actual top-5 list based on some theme or topic. Some will be beer focused; others will be primarily about music. There might even be room for something else, but every list will make sense. Argue with me in the comments. However, be aware that these lists are based on my opinions and feelings at that very moment and could change tomorrow. For this week’s list, I’m listing my top-5 session beers. A session beer, according to Beer Advocate, is a beer that registers at no higher than 5% ABV. This post isn’t intended to question the validity of this definition or to argue the finer points of a session beer. My intention is basically to list five beers that could be enjoyed throughout a period of time with drinking buddies. The idea that there is a huge difference between a 4% and 5% beer is ludicrous and somewhat arbitrary. For the purpose of my list, I’m drawing the line at 5%. 5. Schlafly Kölsch – Honestly, there were some hoppy pilsners and sweet bocks I wanted to include in this list so as to represent all the decent lager alternatives that are out there, but all my favorites don’t meet the 5% standard I set above. So, I’ll go with a Missouri beer in Schlafly’s Kölsch, the closest an ale can get to being summary and lager-like. The beer is a pleasantly crisp, clean drink during the hot Missouri summers. 4. Stone Leviatation Ale – If you want the hops and malt presence of an American IPA/DIPA without drinking yourself under the table, Levitation is the way to go. The bitterness and floral aroma we hopheads crave is there only in a much lighter package. I’m not one who likes to limit a beer to a style, but this one still manages to adhere to the boundaries for an amber without boring me to sleep. This is seriously one of the best hoppy beers you can drink while standing. 3. Jolly Pumpkin Bam Biere – It’s no secret that I love oddball breweries who tinker with style and fermentation processes to create lovely beers. Jolly Pumpkin is one of my favorite breweries and Bam Biere is a go-to whenever I can find it on tap. Even a 750 mL bottle won’t put me under when a beer like this measures at 4.5% ABV. It’s a dry, earthy Saison that also features a pleasant amount of bitterness. This is a fine example of a beer that can be low in alcohol and big on flavor. 2. The Bruery Hottenroth Berliner Weisse – I love what The Bruery does. Aside from Dogfish Head, I’m not sure another brewery makes beer that is more ideal for the dinner table than The Bruery. This beer is an example of the under-brewed style of Berliner Weisse. The Bruery adds lactobacillus and brettanomyces to the beer to attain a certain tartness, but it seems that this may be a departure from more traditional brewing methods of this style. Either way, it’s a beautiful beer and something one can enjoy all day long. 1. 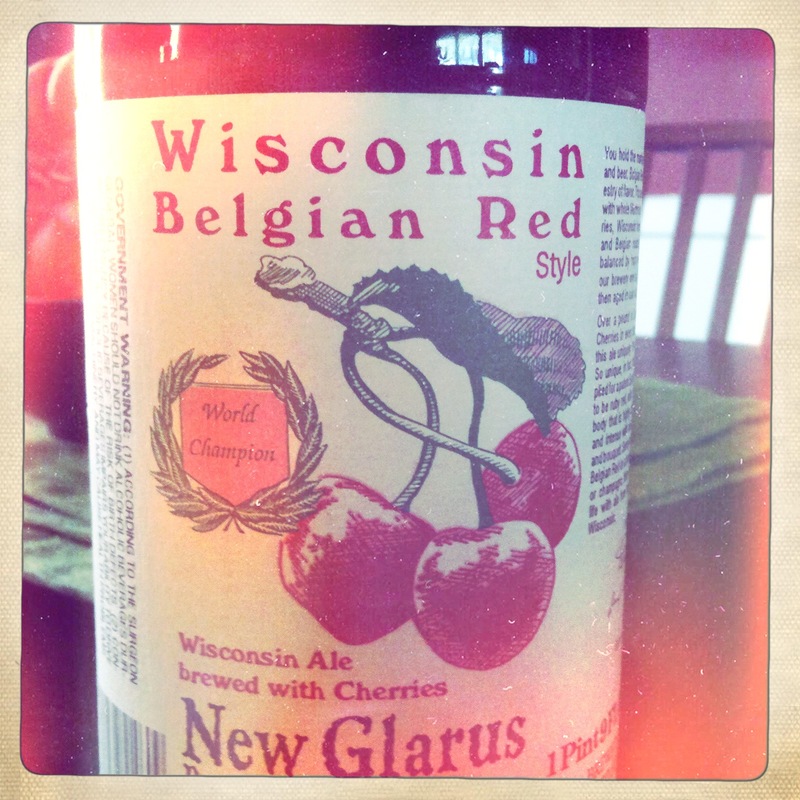 New Glarus Wisconsin Red – It’s funny to me to include a “Wisconsin Red” to the list after what transpired this weekend, but I would be an idiot not to include this beer on my list. In fact, Wisconsin Red has a permanent spot on my all-time-favorites list. From the first time I tasted it, I knew that I would always have to have a bottle of this nearly perfect beer in my cellar. Whenever someone heads to Wisconsin, I always ask them to bring me back a bottle. The tartness of the cherries is nailed without the overwhelming presence of cough syrup. It’s light and flavorful, pairs well with all kinds of food…I could go on and on about Wisconsin Red, but I’ll stop there. Maybe I’ll do a proper review when I finally open the bottle I have. What are the session beers you like most? If you have an issue with my arbitrary definition of a session beer, let me have in the comments. On a programming note, look for reviews of Eleanor Friedberger watching the World Series, Sebadoh battling me on the Twittersphere, and a post a day for the month of November. 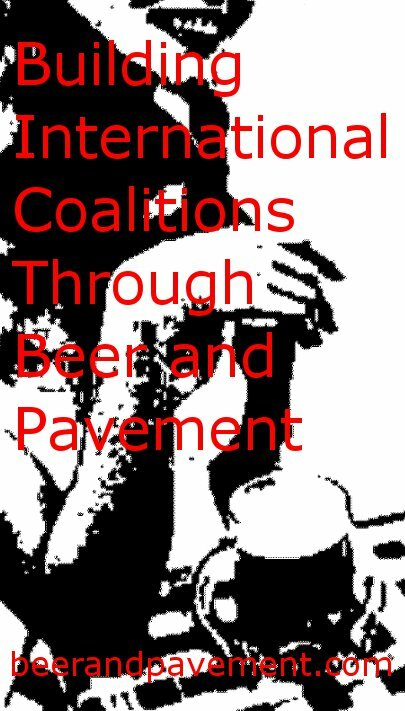 For more on session beers, follow The Session Beer Project. I usually draw my session beer percentage line a little higher, LOL. And like you, I don’t really give two shits about the arbitrary definition, though I get the idea. Based on taste and alcohol content alone, I think your list is great (I’ve had 3/5, but trust you). However, if you try to session the spectacular Hottenroth or any Jolly Pumpkin beer, you’d need to work many extra hours that week. Either that, or I am going to assume you are independently wealthy. Hottenroth is basically $10 for two beers. And that’s the best retail. Jolly Pumpkin is more. And Levitation Ale is for sale at $12 a six pack at my local Publix. Personally, I totally factor in price into every decision. I believe bombers are all rip offs (though you will still catch me being ripped off). My favorite sessions are Sierra Nevada Pale Ale at 5.6% and Sam Adams Boston Lager, though I’ve weened myself off of that for a while. Later. Let me know your top 5 next week. Honestly, a session beer to me is more in the 6-7% range, but I thought I’d compromise with 5%. Agreed on the price, but I will rarely if ever drink only one beer over the course of an evening. I get bored with one beer and like to mix it up. So, session beers aren’t really for me. Still, the beers above are pretty great beers at any price. FWIW, Levitation is $10 around these parts. Great post! One of my favorite sessionable beers (although slightly above your range at 5.7%) is Tyranena’s Rocky Revenge from Wisconsin. I love this beer because it is a brown ale that has a portion aged in bourbon barrels, so it has that great bourbon flavor but without the 13% abv of many barrel-aged beers. Soooo good. Cheers! That sounds interesting. I do love beers aged in bourbon barrels, but they tend to be high in ABV. I’ll have to keep TRR in mind. I realize I’m a hardliner on it, but the point of setting the session bar very low is not necessarily that there’s a massive difference for the drinker (though 4.2 to 5.7 is significant), but that there is for the brewer. Brewing a beer with flavor at under 4.5% is a challenge. Just about everyone has a beer with good flavor at 5.5% or above. Still, I think your choice of 5% is a solid one. Great list, all in all. I agree with Rob; traditionally, affordability is a component of any good session beer, and Jolly Pumpkin is rough on the wallet. I’d add Bell’s Oarsmen (another Berliner Weisse), Yards Brawler, and, to totally contradict my previous statement about affordability, the Vanberg & DeWulf Lambrucha. Hell, If you’re making a list of session beers, you’re probably already willing to spend too much on beer, so what’s another $5? This is a good point. However, just as we should not assume that every beer over 5% is better tasting, we also shouldn’t assume that every beer under 5% is better crafted. I chose the 5% line to represent what seems to be the general consensus in the US. Brits prefer 4%, but it’s hard to find a drinkable beer anywhere that measures under 4%, IMHO. Affordability could be a component, but, as a I said above, I get bored with a beer after a while. I would love a session of all five of the above beers in one sitting. I’m not sure I’d drink only one for an entire session. Honestly, I’d probably switch to something decidedly not sessionable. Still, I’d contend that these beers are affordable. Why do we have to have 6+ beers to make it a session. That might be harder on your waistline than it is on your wallet. I’ve been really enjoying Cain’s Dark Mild recently. Great for day drinking at 3.2%. It’s got a lot of roasty flavor. Maybe a little thin on the body. I love the Hottenroth, but that’s way to expensive to be considered a session beer IMO. I was one of the few people who liked Boulevard’s Ten Penny back in the day. I knew a lot of people who didn’t like solely because of the low alcohol content. Milds just don’t do it for me. At least, I have yet to find one that truly impresses. I don’t get those who reject a beer solely on ABV – one way or the other. I go for flavor every time. If that means it’s a low ABV, then so be it. Of course, if it’s a high ABV beer, I’ll just have to take my time, drink less, and drink more water. Good call on the Bam Biere; I never think of that as a sessionable beer, but it totally is. Have you had the E.S. Bam? I think I prefer that variation on the theme. And I agree that Stone Levitation is another great choice for us hopheads. A couple of breweries out here in Colorado offer some great lagers. I would put Ska’s Mexican Logger and Upslope’s Craft Lager on my own list. Both are solid lawnmower beers for those who still can’t be seen with a PBR in hand. Yeah, the E.S. Bam is good in a surprising way. I could go either way there. Interestingly, you didn’t call me out for the cost issue. I do like a good lager. I just don’t always have the guts to buy six of them. Best ones by far are St. Pauli’s and, if you’re up for something different, the Erdinger Alkolholfrei. Kaliber and the Beck’s are both better than O’Doul’s, but not by a ton. I’ll take your word for it, Greg. Yeah, I clearly replied to the wrong comment. But I’m dating someone who doesn’t drink, so I’ve had lots of exposure to NA beers. I think cost can be a misleading criterion. Mikkeller and Brewdog could make some great session-strength beers, for example, but there’s no way in hell they would be affordable to us here in the US. The Bam Biere is also more affordable than some of the other Jolly Pumpkins like Maricabo Especial (awesome, btw).